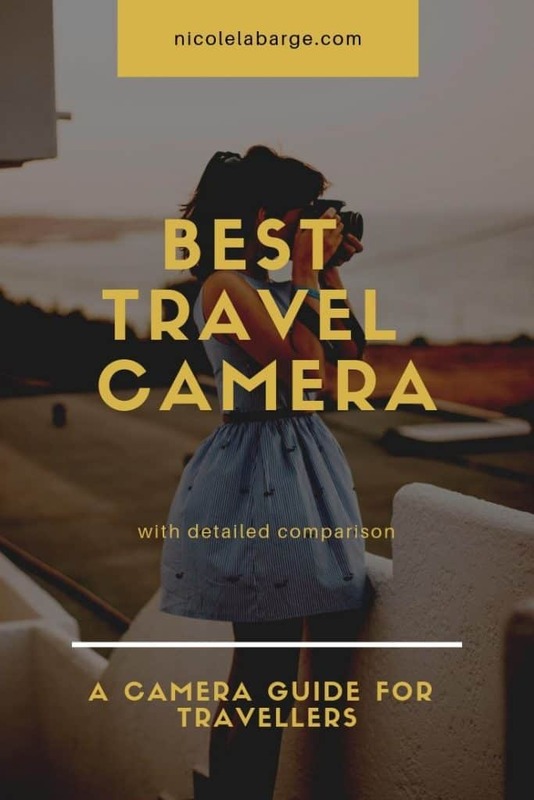 What is the best camera for blogging – I have been asked so many times what camera do I recommend for travel and blogging. 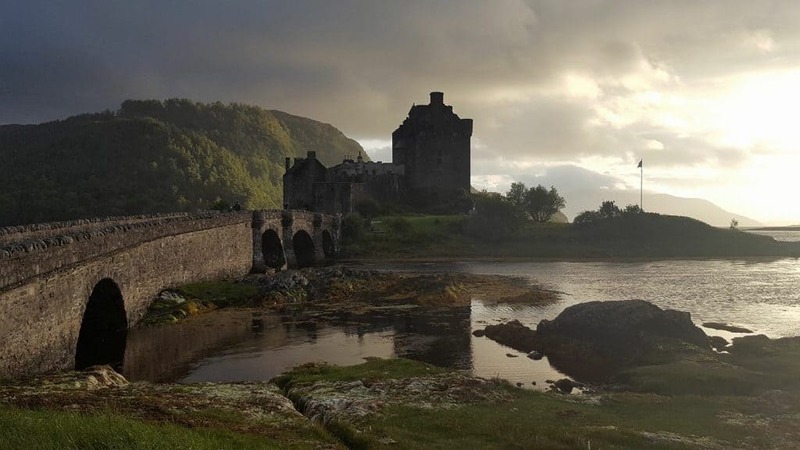 I have been traveling abroad for 25 years and professionally blogging for five years and in that time I have owned 5 different cameras for blogging. 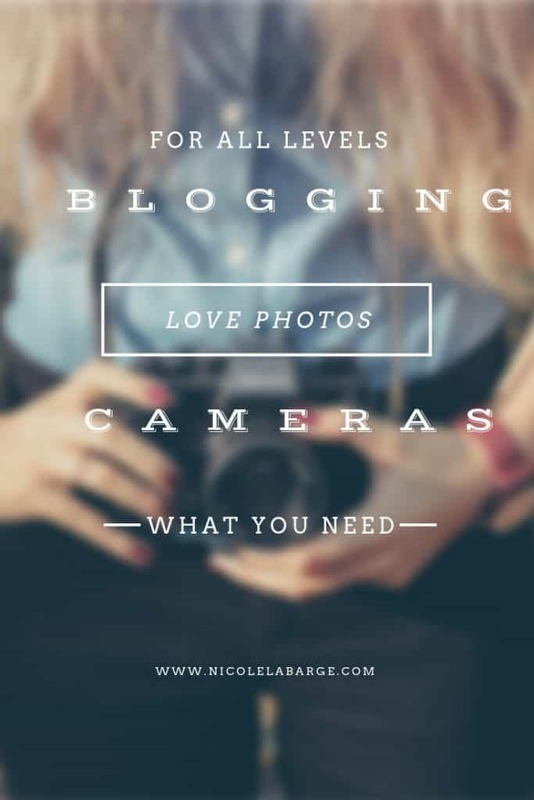 There are so many blogging cameras out there it can be confusing to know where to start. 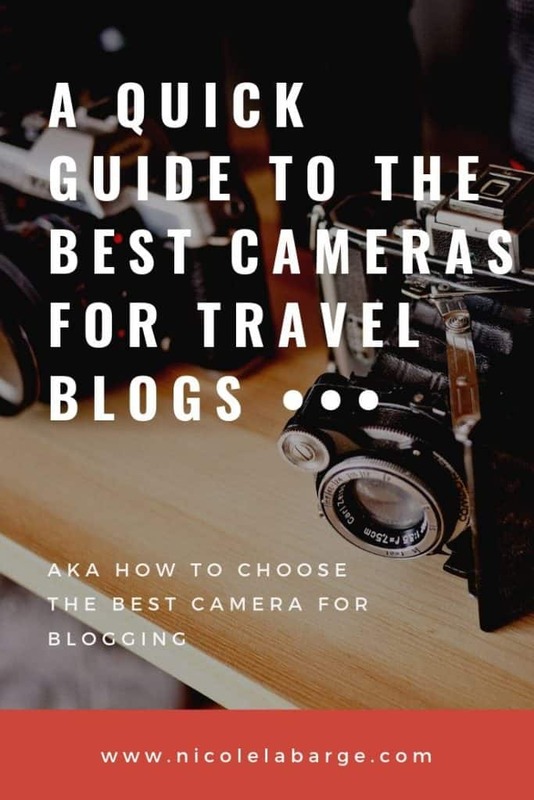 In this guide, I will take you through the top 11 blogging cameras used by bloggers and the pros and cons of each along with a comparison chart so you can make the best decision for you. It can be confusing trying to choose – you want the best you can afford but will you really see the benefits of a more expensive camera if you don’t know how to use it? That’s why I have put together this guide of the best cameras for blogging and even vlogging. There are entry level cameras and even professional cameras in this list. So how do you choose? I prefer to start with a camera that you can grow into. Something that can be easily used yet lets you turn on the manual settings and really test it out. That’s why I would recommend the Canon EOS 5D as the best DSLR camera or the Sony Alpha A7III as the best mirrorless camera. I’ve gone through a lot of cameras because some were too heavy, others to simple, and some did not have all of the features I would have liked. I spent a lot of time researching and testing out blogging cameras and I have compiled this guide to help others make the decision on the best camera for blogging. After visiting 120 countries around the world, I can say that my favorite souvenirs I own are my travel photos. I often take trips of three to six months and I just do not have the space in my bag to pick up items such as carpets, scarfs, painting and I don’t really have the time to ship things home when I am traveling. So that’s why I really love taking photos and trying to capture those moments. I know it can be hard to choose a camera with all of the different specs out there. That’s why I have put together this simple guide to compare different types of cameras and how they work best. Try to identify your need first and see what camera matches up. Vlogging your trip around South America? Check out the Nikon D850. 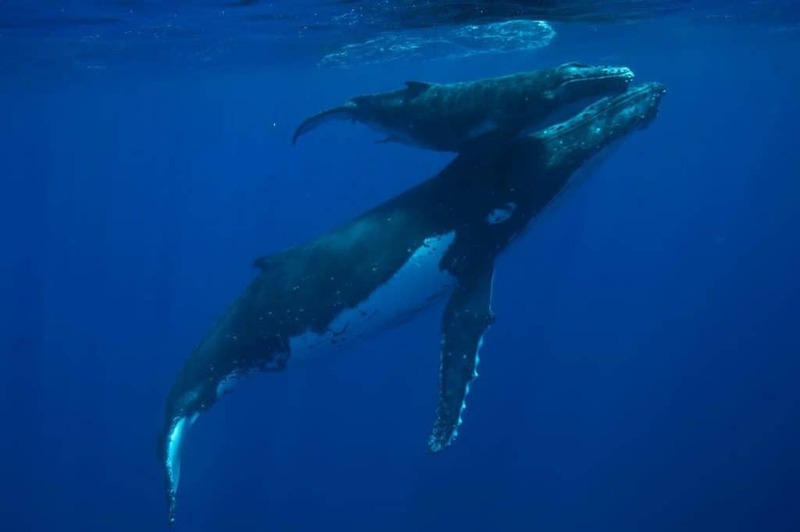 Swimming with whales in Tonga, you’ll need a Go Pro to capture those photos underwater. The second part to choosing a camera is to actually get it out of the box as soon as you get it and start using it. 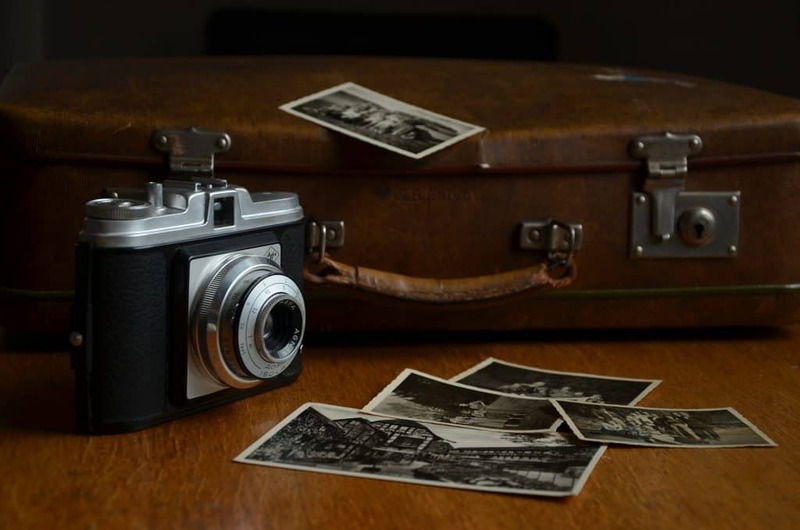 Take photos of your dog, your kitchen, the stars, whatever and really find out if the camera works for you and for the type of photos you are taking. This is so important as you can always return a camera if it doesn’t work for you. I had a problem with my second digital rebel when I first got it. I seriously could not take a single photo that was not blurry. It really turned me off from the camera but when I took it in I found out it was the lens I was using and not holding it stable enough. Problem solved. That and I am constantly taking new photography courses and trying to improve my skills all the time. What to look for in a blogging camera? There are several features that are important in choosing a camera for blogging. Here are some terms you will hear. Photos taken with the Canon Digital Rebel. Megapixels – Many people think the more megapixels you have in a camera the better. In reality most cameras have more than enough megapixels for taking photos and especially for posting on your website. Where megapixels come in handy is if you are looking to crop an image. So if you took a photo of a lion 50 yards away and want to crop in on the image the more megapixels you have the better. Autofocus – you will want a camera with a fast auto focus. When I am taking photos especially of animals that move quickly this is very important. Manual Settings – If you are looking for a camera that you can grow into and use as your photography skills grow you will want a camera where you can manually control the settings. High Definiton/4K – If you are a vlogger you will need to choose between high definition 1080p or 4K video. For most of us a HD 1080p is enough but some will want the 4K experience. Wifi – this is one of the most important features for me and a way I work that improves my efficiencies. I need wifi to get my photos off of my camera and onto my phone or laptop so I can post photos. I cannot stand hooking up a cable to my camera and into my laptop to do this. Lens – Do you want to be able to change your lens for different events? Do you want a 50-300mm lens to capture the lion at 50 yards away? If so, you do not want a point and shoot and you should consider the cost of lens when purchasing a camera. What are the best cameras for blogging? I have used this camera for the last year. I have been able to use it for video which is fantastic and 4K. I love the iPhone app that allows me to download my photos from the camera onto my phone in seconds. I believe integration between the camera and an iPhone is one of the number one things a blogger needs for efficiencies. I do not want to plug my camera into my laptop every time I want to see my photos. I edit my photos right on my iPhone and then post them on Instagram. This is the most efficient way to work for me. If I am then looking to put those photos in a blog post I use the word press app on my phone and insert it to the post. Job Done. You will notice a lot of beginner to intermediate bloggers using this camera. The photos are great, the camera is easy to use and the camera works great whether in automatic or manual mode. It is a great mid entry level camera by Sony. I bought it with the 16-50mm lens, and extra battery, and a 256 GB card to ensure I could shoot in RAW and also capture video. I also have the 50-300 lens for my African Safaris. The Sony Alpha A6500 mirrorless is my current camera. I love the smaller size and then fact that it weighs so much less than a DSLR. Its absolutely fabulous at taking great photo and the video quality is great too. The Canon Digital Rebel was my first blogging camera. I bought my first version of this camera in 2004 when everyone else was buying 4MP point and shoot cameras. This was my first digital camera and my first DSLR and had an impressive 8.0MP. People used to get out of my way so I could take photos. It was incredible. I bought my second version in 2010 and Digital SLRs have come a long way and everyone seems to have a DSLR now. I think the Canon Digital Rebel is a great intro into the DSLR market. This camera does all the heavy lifting for you and the pictures are impressive. The digital Rebel has 24.2 MP and High-speed continuous shooting up to 5.0 fps allows you to capture fast action. My favourite setting is the sports mode to capture things such as a running cheetah or whales breeching in the ocean. It is fast and the pictures come out sharp and clear. You can also set it to burst mode to capture 50 frames in succession. Canon’s advanced EOS Scene Analysis system automatically adjusts the camera’s settings to produce the best results whether shooting friends, landscapes, sports scenes and in tricky light situations. It can also be used in manual mode which is important as some models have an automatic mode and comes with an 18-55mm lens. I bought a 50-300mm Tamron lens for it to use on my first trip to Africa. 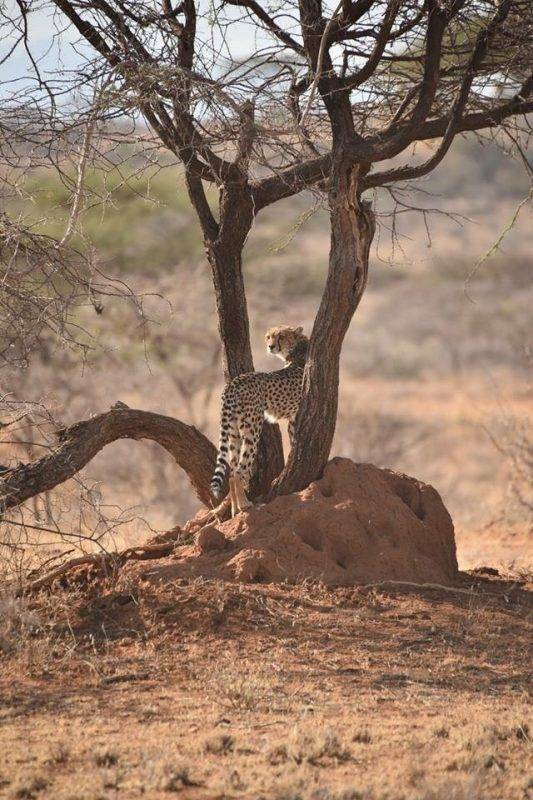 The lens worked brilliantly for safaris and I was able to take great pictures. Some of the cons are that it is heavy compared to mirrorless cameras but the price point is affordable. I found that the time it takes for the camera to write to SD card was very slow sometimes. If you were shooting in burst mode you would have to wait 20-30 seconds afterwards for it to catch up and complete writing the photos to the memory card. You can use this camera to shoot video but only in 1080 and not 4K. You will need to upgrade to a much bigger camera for 4K. This was the camera I was using when I lived in Japan and then moved to New Zealand. I loved the photos that this camera took for me. Now here is a camera for someone who is looking to grow into the camera. The Canon 5D Mark is a professional camera that takes amazing photos. If you are just starting out, use it in automatic mode. If you are looking for a camera you can grow into and learn over the years this is the camera for you. I especially like the 5D because if you are to think of all of the cameras you will buy over the next five years wouldn’t you want to just buy one and know it will cover you? This camera is used by a lot of the top bloggers, vloggers and instagrammers. It has 30.4 MP and shoots video in 4K. If you have the available budget, get this camera. The image quality is superb and easy to use. It offers amazing refinements in image quality, performance and versatility. The processor is fast and provides continuous shooting at up to 7.0 fps. It has built in wifi so you can easily download your photos but there is also an easy to navigate touch panel LCD for quick ease of use. The EOS 5D Mark is the ultimate in photo shooting. It is the best camera I’ve ever owned! Fast easy to focus and most importantly for me easy to use. I used a Canon EOS 5D Mark VI up until 2015 when I did Cairo to Cape Town. I was on safari in Kenya and my camera was knocked so hard that it broke the lens and the camera body itself was knocked out of whack and never worked well again. The Fuji X-T20 Mirrorless is the competitor to the Sony A6400. These are the two best affordable mirrorless cameras and people are either Team Sony or Team Fuji. This is probably one of the most talked about topics in the blogging groups I am in. I think the Sony wins in numbers but many people love the Fuji as well. The Fuji X-T20 is a 24.3 MP camera. In addition to conventional Full HD video, the Fujifilm X-T20 also supports 4K video for amazing movie quality with minimal moiré and artefacts. The camera accepts both an HDMI monitor and an external microphone for full-scale video productions. You can capture images exactly as you see them with dial-based controls and a variety of exposure modes. The compact and lightweight camera body, which sits comfortably in your hand, is both fun and simple to use. The camera has Advanced SR Auto for intelligent, fully-automatic shooting. Set the Auto Mode Switch on the top plate to ‘Auto’ to select the Advanced SR Auto mode. The camera will then automatically select the optimum auto focus and exposure settings from 58 presets, including ‘Landscape’, ‘Night Landscape’, ‘Beach’, ‘Sunset’, ‘Blue Sky’, ‘Portrait’ and ‘Moving Subject’. I know people who love this little camera. It is perfect for beginners to intermediate photographers. I think the Sony vs Fuji is really just down to preference. I preferred the Sony as it was a better price point including a lot of accessories. The Sony Alpha A7III is the ideal blogging camera and the best one money can buy. It is mirrorless and lightweight for its size. Mirror less is really the way to go and this camera is a step up from the Sony A6400 and the Fuji X-T20. It is the perfect camera for professional bloggers and also a great camera to grow into. The camera is solidly built and ergonomic to use. 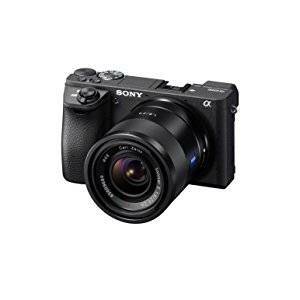 Sony caused quite a stir in the photography community when they released this camera because it is the only full frame mirrorless camera to offer in-body image stabilization systems and its performance is excellent. The Sony Alpha A7III is a 24.3 MP camera that takes high resolution images and is effective in low light situations. It also has an amazing battery life. You can use this camera all day on one battery but as always I recommend having a spare in case the battery is not holding a full charge. The Sony Alpha A7III captures video in full HD not 4K. If you are looking for a vlogging camera I would recommend the Nikon D850. I debated whether or not to include Nikon in my list of the best blogging cameras. I was talking with a photography professional and he convinced me I needed to include a few Nikons in the list. I am team Canon all the way when it comes to DSLRs and I feel Nikons do not live up to Canons but there are a lot of people who prefer Nikons. So I talked to the professionals that I know that use Nikon cameras for blogging. The Nikon D3500 camera is a 24.2 MP camera that has a new technology sensor to capture improved image quality and does not capture 4K. Given the trend towards 4K video in the last year or so, especially in rival mirrorless cameras, it’s a little disappointing to see only Full HD capture on the D3500. I’m also surprised this camera has Bluetooth but no wifi connection. As I mentioned before this is a huge efficiency in my work flow and I cannot have a camera with no wifi even though the camera is easy to use. It also does not have a touch screen on it. The battery life on the Nikon is impressive at over 1500 photos on a single battery. This is the more popular Nikon camera for blogging but it comes with a heavy price tag. Actually, its not too bad at $3,000 and this is the camera most professionals use. This camera is impressive and when Nikon released it, it set a new benchmark for DSLR image quality and super high resolution photography. The camera allows photographers to capture fast action in 45.7 megapixels with brilliant resolution. This camera is remarkable advancement across the board. The Nikon D850 has 45.7 MP, shoots video in 4K, and has won numerous awards for best camera. Just check out the reviews on this camera. This camera is a vloggers dream with the enhanced video and sound. When audio levels rise unexpectedly, D850’s sound attenuation automatically reduces the microphone sensitivity to prevent distortion and maintain smooth recording with clear sound. Now here is a fun camera that a lot of people will think does not deserve to be on the list but let me explain. Canon has one of the best point and shoot cameras on the market. Think its not powerful enough of a camera for blogging? I know some people that used a GoPro for all of their photos for the first two years. Everyone has to start somewhere. The Canon Powershot is easy to use, 20 MP camera that is slim line and light. It is perfect for someone starting out or someone who needs to take photos for this blog but is not into photography. You can send your photos straight to your smartphone with the Canon App. It is the go to app when you want to wirelessly shoot and transfer photos directly to your mobile device. This camera is so reasonably priced it is worth having it as a back up camera to your main camera if something goes wrong. I carry this camera as a back up and also if I am going out at night or in a place where I do not want to flash my big camera in public. A camera that is a rugged as you are and takes great pictures and video. I love my Go Pro and it is the best adventure camera. I know a lot of people will groan when they read this on the list but to me sometimes you have to weigh the practicality of carrying an expensive camera on a long trip with the practicality of a small camera you can attach to your backpack and shoot. The Hero 7 Black has come a long way since my first Go Pro 4. The super smooth filming is like having a gimbel for your Go Pro at all times. Amazing stabilization without a Gimbel. I also love that it is waterproof without having a case. The case on my last Go Pro was a pain to open and of course it should be because you want it to be air tight to ensure no water gets in. The new case is waterproof without having to open anything. Its right on the GO Pro itself. Go Pros are known for being used while doing adventure activities. The new Go Pros have 16 voice commands to use them hands free. Busy paddling a kayak over rapids, just say ‘Go Pro take a photo’ and it will! It takes super great photos and makes shots look amazing automatically with HDR, local tone mapping and noise reduction—in any light. You can even stream live to Facebook. The Go Pro is 12 MP and shoots video in 4K. They even have a great app that allows you to edit videos right in the app. I love this feature as I am not one to want to learn how to use Adobe Premiere. Another cool feature is Time lapse on the move. Capture super smooth, stabilized time lapse video—even as you move through a scene. They have also added a screen to the latest model which allows you to view your shots or video. A definite upgrade on the previous versions. The Panasonic Lumix GH5S is a youtuber’s workhorse. This camera takes 4K video in amazing video specification. The Lumix GH5 is the latest in the line of Panasonic’s top of the range mirrorless cameras, which over the years have carved out a niche for themselves among videographers thanks to the movie-making features. The stabilization on the camera is great for video as well. The photos on the other hand leave something to be desired. The image quality is not state of the art. The camera is a 20.3 megapixels and shoots video in 4K. It also has built in wifi to download your photos and you can control the camera settings through your phone. But one of the biggest negative to this camera is that the battery lasts a mere 400 photos. That is not a good battery life for a blogger. Ok, another compact camera and another Sony. Can you tell I really like Sony and Canon cameras? There is a reason for it. They work great, take beautiful photos and are super easy to use. I want a camera I can take out of the box and use. If there is one or two things I need to figure out how to do that’s fine but I don’t want to be reading pages of instructions just to figure out how to turn the wifi on to get my photos off of the camera. The Sony RX100 is a great camera for beginners. This pocket-size compact comes with no-compromise high-zoom performance and super-fast auto focus, so you can capture every opportunity that comes your way – just the way you want – and fully unleash your creative self-expression. This 20.1 MP camera also shoots video in 4K. Yes, a point and shoot camera that shoots video in 4K. One of the cool features of this camera is the LCD screen. With Touch Focus you can simply touch the LCD at the point of the image you want to focus on, similar to your iphone. Then you can intuitively focus on subjects even at the edge of the frame, without reframing, for both still shots and movies. You can also flip the screen up when you are taking photos so you can see what’s in frame. Same for when you are shooting video and want to see what’s in shot. Conclusion – which camera is best for you? This guide to the best cameras for blogging is for all levels. However, I think there are some clear winners here. So which are the good cameras for bloggers? Best Mirrorless entry level camera that is on budget would be the Sony A6400 Mirrorless camera. I think the Fuji X-T20 is a close runner up if you don’t like the Sony or there is one feature from the Fuji that you really love. Both cameras take exceptional photos. The best vlogging camera would go to the Nikon D850. You just cannot beat both the video and the sounds on this camera. Sharing is caring. Save this pin for later. I agree that the 5D is big but I know so many people who love it and the quality of the photos are unparalled. For me, it is about the weight when I am traveling. I also feel like a target when I carry huge cameras like that. I wish I was dedicated enough to still travel with it! I want most of these cameras! The problem is they all do something great!! At the moment my fav camera is the Go Pro 7! It is just so simple. This is a really great post on the best blogging cameras. Well done and thanks for putting this together.